When users add a new device to their account, native Android notifications will tell the user about the newly added device or security event. If the activity looks suspicious, the user can choose to “Review Account Activity,” and find out what device was added, from what location, and other important information. 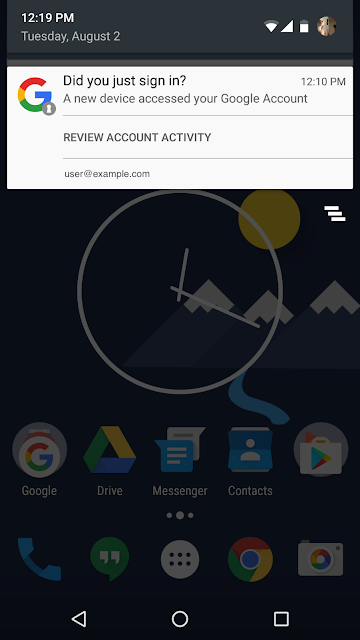 If the activity is expected, the user can dismiss it as any other notification. Now users are quickly notified on multiple devices when a new device has been added. This increases transparency to the user of what actions they've performed and allows them to flag any suspicious activity they may be seeing on the device. We’ve also found that with Android notifications, users are up to four times as likely to review the information as compared to email notifications. We hope you find this security feature as useful as we do! 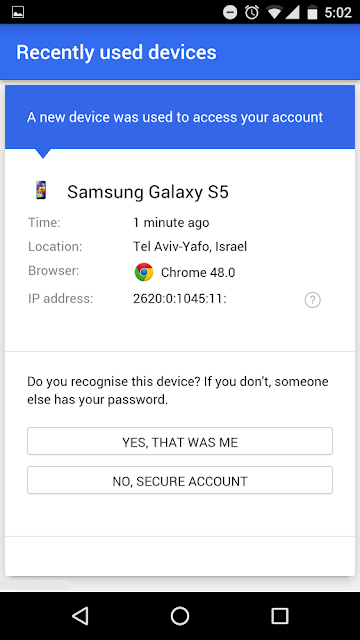 That’s why today, we’re pleased to release a new feature that notifies Android users of security events on their account: Android notifications for newly added devices.